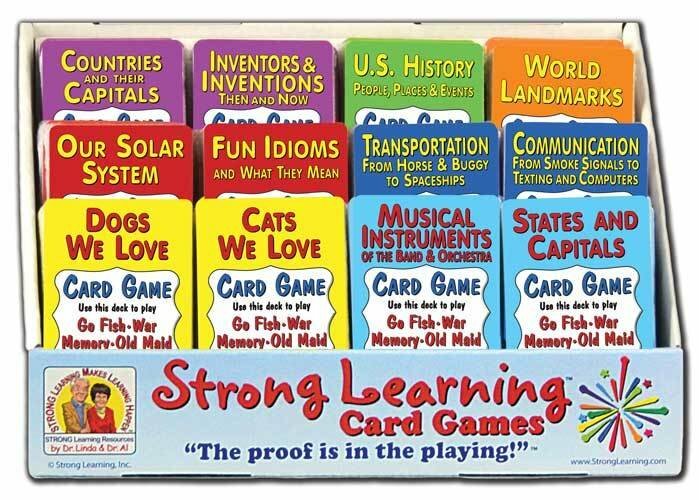 Each deck can be used to play Go Fish, Memory, Old Maid, and War. Game Centers include 3 each of 12 decks (3 fit in each section of the card rack). Note: Shipping is $22.20 by Priority Mail anywhere in the United States.